Do you sleep too much or too little? Do you snore or have sleep apnea? This single formula can end you problems in as little as thirty days. Play it nightly before bed or continuously overnight using an emitter. Sleep disorders are no different than any other physical or emotional problem: they start in an unsettled Mind. The energy behind sleep disorders is almost always a worry or fear of making a mistake or an error (screwing up),when doing something. It is behind the need to classifying; the need to cover every detail while doing something, and the tendency to review past events with worry or concern about what mistakes we have made or what we could have done better. When the energy moves from the MInd to the Body sleep disorders frequently follow. I am really thrilled to have this amazing healing tool and to have experienced it’s effects. i travel a lot and am often lacking sleep and battling exhaustion due to Jet Lag. I was in my hotel room having awoken after too short a sleep and needing more sleep to recover and I decided to TEST this Sleep Mp3. I placed my Bose bluetooth speaker with this audio playing on my IPhone, on repeat very close to me (on low volume) ( I do not have an Emitter yet) and the next thing I knew was that more than 3 hours of DEEP sleep had just happened!!! WOW!!!! I know that usually on this kind of pattern of travel and due to the time differences falling back for a much needed sleep just does not happen!!!!! 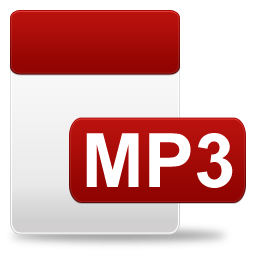 After returning from my trip having missed a nights sleep again, I found myself greatly less fatigued and much more refreshed with the help of this sleep MP3 once again!! !